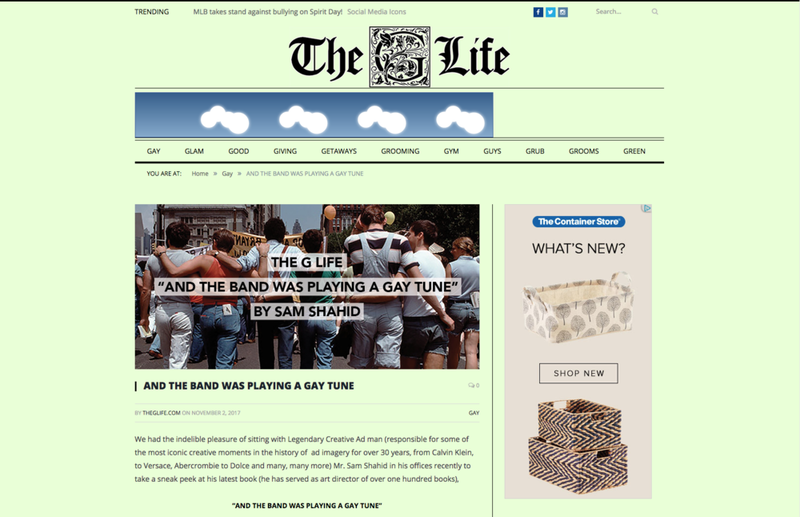 Thank you to Christopher Harrity and the Advocate Magazine for using an image from, "And the Band Was Playing a Gay Tune" by Sam Shahid in their list of, "89 Photos That Made 2017 Worth It." 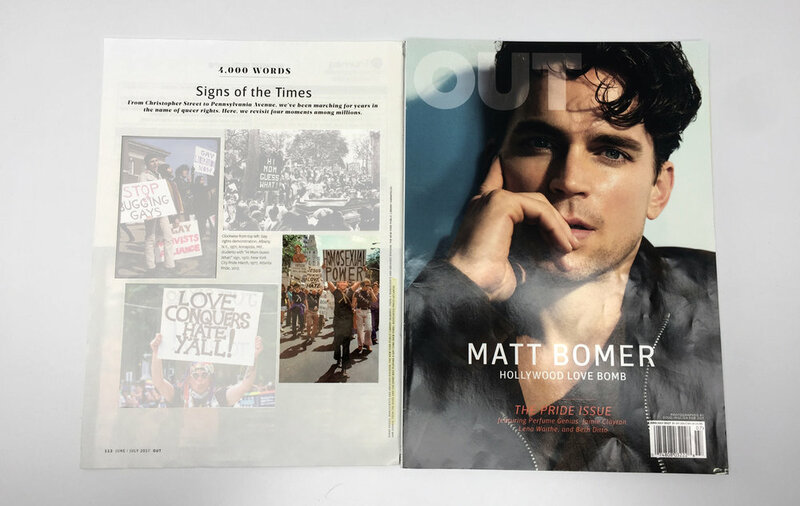 Thank you OUT Magazine for sharing Sam Shahid's photo, "New York City Pride March," 1977 in your July 2017 Pride issue. 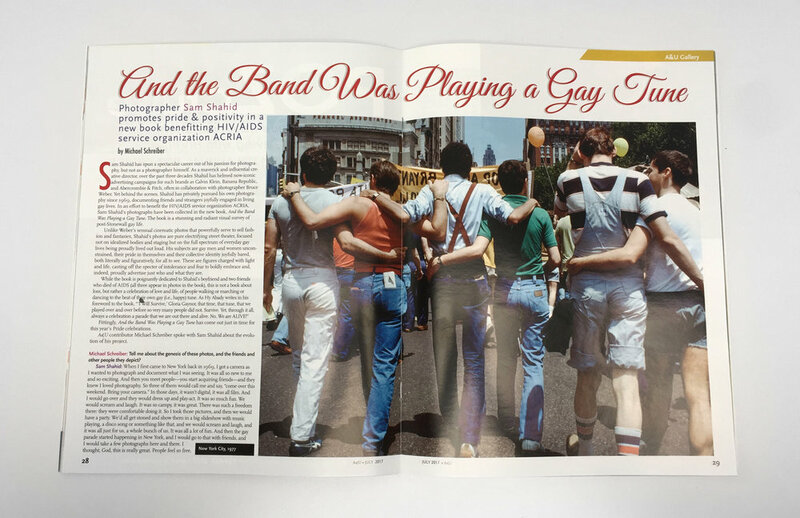 Interview with Sam Shahid in the July 2017 issue of A&U Magazine about his upcoming book, "And the Band Was Playing a Gay Tune." 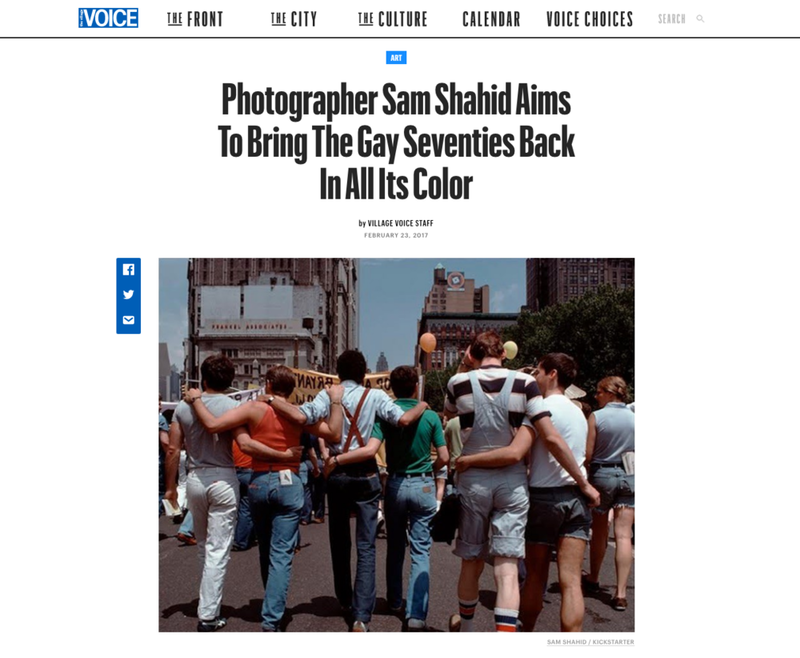 Thank you to the Village Voice for supporting our Kickstarter for "And the Band Was Playing a Gay Tune" by Sam Shahid. Our Kickstarter runs until March 1st! Interview with Sam Shahid on VICE about his upcoming book, "And the Band Was Playing a Gay Tune."